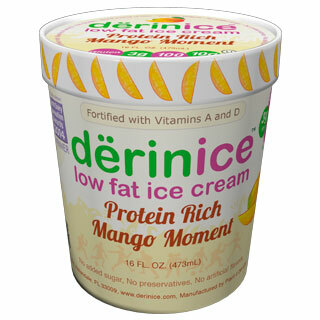 One of the first dërinice products is a protein rich low fat ice cream delivered from our hearts straight to your freezer. dërinice will change the way you think about desserts. Our products are nutritious, healthy and taste great! We aim to use only the highest quality ingredients to create a healthful reviving treat. Good taste, plus good health. First, we use less butterfat than ice cream’s typical 10 to 16 percent. However, that does not mean it has less flavor for you. We have spent countless hours of lab-tasting and experimenting to create a dessert that has some of the wonderful smoothness you love with traditional ice cream, except we have added protein for additional health benefits. 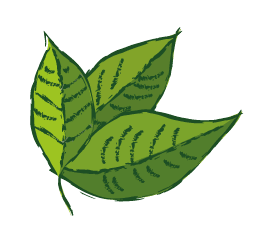 Why create a healthful product? According to the CDC More than one-third of U.S. adults(35.7%) are obese. Obesity-related conditions include heart disease, stroke, type 2 diabetes and certain types of cancer, some of the leading causes of preventable death. The facts are in. Obesity is a big problem for most Americans. We can no longer safely indulge in overly sugary desserts. At dërinice we decided good and tasty didn’t have to be bad for you. We are dedicated to meeting some of your health needs, as well as, your desire for a product that tastes good. You can enjoy dërinice products after a long workout, for a delightful treat, or want something the whole family can enjoy. Low sugar, less fat and more protein makes it safe for the entire family. The key benefits are: high protein level, no added sugar, low cholesterol and sodium, plus prebiotic fiber, great blend of Vitamins A and D3 and lots of love. If you are a fitness enthusiast, or just looking for something tasty for yourself or your family, this product is a wonderful treat with its superb taste, texture and balanced nutrition! Why Try dërinice Low Fat Ice Cream? It’s fast, easy and ready to consume – no stored ingredients, no scoops, no shakers, no mixers or blenders, which means always ready to enjoy with no dirty dishes. Your convenience is very important to us. This is why our product will be conveniently packaged into 4 oz. single serving cups as well as in 16 fl. oz. pint containers. These containers can be conveniently stored in coolers, insulated lunch boxes, or in your freezer for a quick treat after a workout or a meal. Our delicious product is also reduced in calories, low in cholesterol and very low sodium! 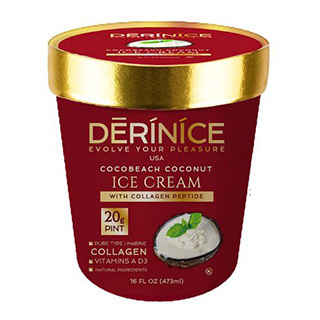 dërinice Protein Rich Ice Cream comes in five Fantastic Flavors: Chi Energy Coffee,Dragon Green Tea, Midnight Chocolate Bliss, Vanilla Bean Dream and Strawberry Chill, offering a variety of tastes for the discerning palate. instead of a fat-laden muffin. Did you know, that coffee is probably one of the greatest sources of antioxidants? You can enhance the effects of your workout with our Chi Energy Coffee as an added treat. added bonus of protein in one delicious serving, you also get the added benefits of prebiotic fiber and a blend of essential vitamins A and D3 in your cup. You can indulge your cravings in a healthy manner. Enjoy this exotic treat in a new and cool way. it is a delightful treat. Regular chocolate eaters can have the benefit of healthier heart, by having lower blood pressure, reducing "bad" LDL cholesterol and a lower risk of heart disease to name just a few. Plus chocolate lovers know it just makes you feel good. Add it to a stress reducing workout and you have the recipe for a day of happiness and health. creaminess and rich taste. Low-fat and high in protein Vanilla Bean Dream will be the ice cream you reach for when you want something cool and good for your taste! of just because it taste good. Strawberry Chill is chock full of fruity deliciousness. 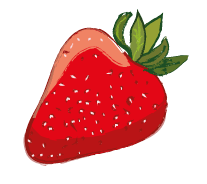 Strawberries are berry good for you, especially chilled. Yummy. dërinice Low Fat Ice Cream (originally Jambo Protein Ice Cream) was developed in September of 2009, by Jambo Production LLC producing and marketing high quality and delicious protein rich dairy frozen desserts. It was developed with the goal of revolutionizing the world of high-protein snacks! something tasty as part of a healthful lifestyle. Our aim is to bring these amazing products to you and the World! We believe in our products and put an emphasis on their effectiveness, safety and fantastic taste!